Aliens don’t abduct my mind. I do. There I was the other night, lying in bed. Sleep deprived. Having to play phone tag with my physician because she’d failed to renew my prescriptions as promised the day before. It was if gravity was reversed and ripping me from the earth, my arms flailing and reaching out for a handhold. Why must this always happen? I’ve so much to do and now I’m wasting time with this. I need to sleep, but I can’t because she didn’t do what she was supposed to do. If I don’t get enough sleep I’m going to have another relapse [pulmonary] and then I won’t be able to get anything done at all and it’s all the worse because she didn’t do her job. This isn’t the first time…! And then I caught myself. My brain was turning those statements over repeatedly until time became meaningless. Although such a Body Scan isn’t intended to relax me, in the end it did when I shifted my mind out of “doing” mode and into “being” mode, for negative thoughts while in doing mode become a destructive spiral. I intend to keep working until there’s eventually no negative cycle to stop. Whether I’m doing—or doing nothing—I want peace within. It’s already there. I just have to find it and hold on. I continue to read the book I discovered…about halfway through it. There are exercises to practice and so my progress has slowed, but that’s okay. Speed isn’t what’s important here. It’s the results that matter. 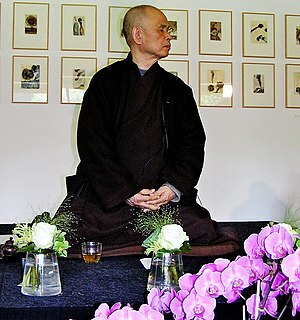 Thus far I’m pleased with what I’m learning: awareness, the body scan technique, and meditation thus far. It’s a good fit for me. 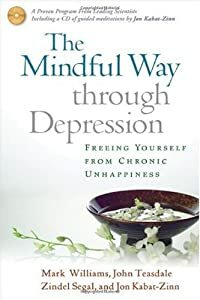 The book, The Mindful Way through Depression – Freeing Yourself from Chronic Unhappiness, was an unexpected find via a health newsletter I receive in my email. It remains a great approach to keep depression at bay, a way that doesn’t involve denial, drugs, or distraction. A way to face it head on. Too, I liked the tone: no pressure (that’s also their approach to meditation, which lowered the intimidation factor). As I said, this book remains a good fit and the right approach for me, but I’ll not draw any conclusions until I’m finished and have given it some time. Whether you jog, meditate, practice yoga, seek help from quality self-help books, or see a therapist, you can break the cycle, too! The important thing is to find what works for you, or what combination works. If you’re someone who seeks a therapist please keep in mind that they’re all different personalities with different approaches. Just because one doesn’t fill your needs, another will. Keep looking. This entry was posted in Main Blog and tagged awareness, body scan, Christina Anne Hawthorne, depression, determination, hope, learning, Meditation, Ontyre Passages, peace, self-help, The Mindful Way through Depression, therapy, Thich Nhat Hanh, understanding by Christina Hawthorne. Bookmark the permalink. Christina I agree we are very complex individuals and what works for one won’t work for another. This book sounds very good thank you for sharing your insights and I wish you freedom from the black cloud. Thank you, Kath. We all have burdens to bear and I’m hopeful that we all master that which plagues us. I do hope that you and your family are doing well.